So you’ve started welding as a hobby and are now looking to do more of it? One of the first things you will need is a welding table. A welding table is an essential piece of equipment for anyone who welds, no matter their level. It is a stable, fireproof platform where you can safely complete your work. 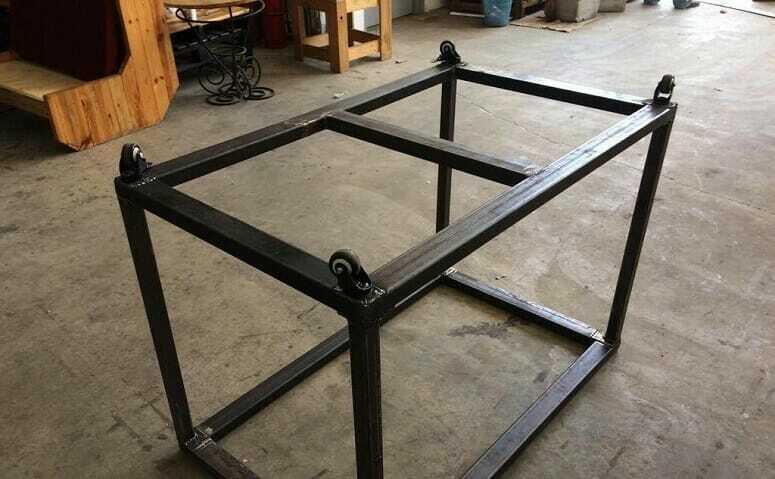 Most welding tables are simple structures, with a tabletop and legs. Some models can have an extra shelf underneath the tabletop, for storage. Others might have a support framework of stays, which connect the legs and provide extra stability while you are working. What Are the Benefits of DIY Welding Tables? Buying a ready-made welding table may seem tempting; after all, it is a convenient and hassle-free solution. There are numerous products on the market, many of which are relatively inexpensive. However, do not overlook the positives of making your own welding table. After all, you have the skills, so why not use them for your benefit? You get to make a piece of equipment that is exactly how you want it. Commercially made welding tables are often large and heavy. They can be difficult to maneuver and transport. 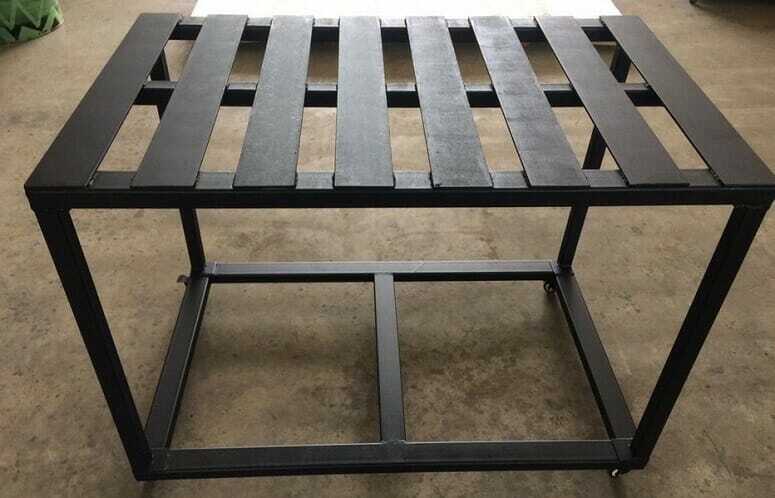 By making your own welding table, you can create a product that is much more lightweight and portable. This also means it can easily be moved around your work area. 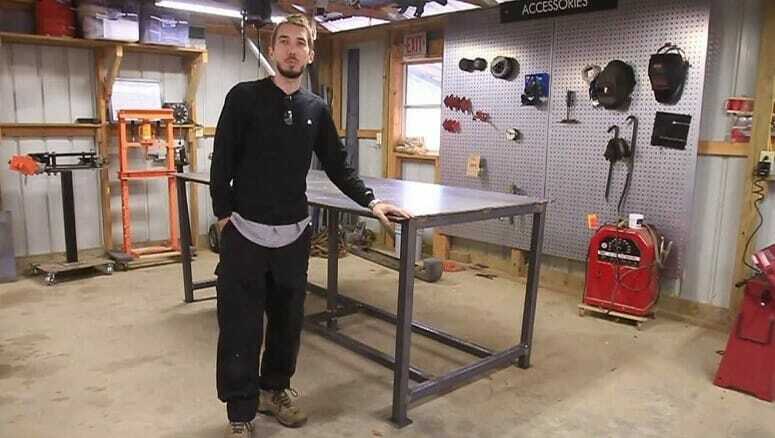 Making your own welding table means you have the ability to build it to your own specifications. Apart from being able to decide the size, height and weight of your table, there are many other things that you can consider. You can add in a shelf or drawer for equipment, to make storing your tools easy and keep them accessible when you are working. It's possible to attach wheels for mobility, so that the table can be moved around without requiring heavy lifting. You can also design your table to fold up, or even separate, so that it can be stored more easily. This is particularly useful if you have limited workspace or need to transport your table to other sites. When it comes to constructing the table, you can choose everything to suit your needs, from the material type to the thickness and fastenings. Again, this means that you can create a table that is perfect for its intended use. Consider the amount of welding you will be doing and the type. Will they be light or heavier jobs? Think of the tools you will be using and the locations you will be welding in. As well as buying your materials from a store, you may even be able to source some, or all, of what you need from scrap. This may pose some challenges if the parts are uneven. However, it is a cost-effective and environmentally friendly solution. Which Is the Best Material to Use for a Welding Table? 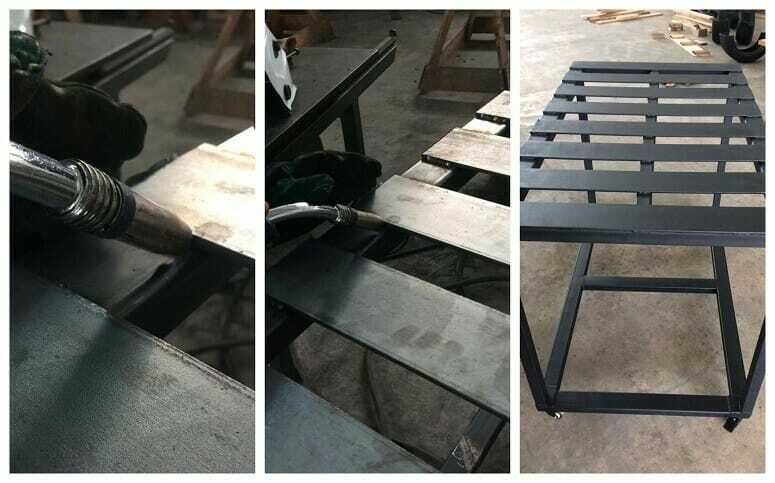 To make your own welding table, you will obviously need a strong, fireproof material for the top and frame. Do not be tempted to use aluminum, as it is too lightweight—the melting point of this metal is much too low for it to be used safely as a welding table. The best metals to use are either cast iron or stainless steel. If you’re only carrying out light welding jobs, you could also use a sturdy wooden table with a sheet of metal attached to the top. Bear in mind, however, that this is not recommended for heavy duty work. It’s safer to make a proper table, rather than causing a potential accident or injury with an unsuitable makeshift version. The first thing you need to do is, of course, find your materials. As mentioned earlier, these can be found at a store or other supplier, or possibly a scrap yard. The most expensive option is purchasing from a store, followed by a wholesale supplier who could be up to 50 percent cheaper. The most cost-effective option of all is finding yourself some scrap metal. If you are going to paint any parts of your table, then you will need to find rust-resistant and flame-resistant paint. Make sure that the paint is suitable for metal surfaces before using. Make sure you also have the correct safety gear before you begin, including a welding cap, helmet or goggles, gloves and protective clothing. It is also important to ensure that your workspace is adequately ventilated, even if you are using an exhaust ventilator. You will need a MIG welder for the bulk of the construction, and an angle grinder to grind down any rough edges. If your materials need cutting to size, a large metal saw will also be required, ideally, with carbide teeth. Check locally to see if you are able to hire or borrow one, as they are quite an expensive investment, especially if you won’t be using it that often. Once you start construction, you will also need a number of clamps to hold the table in place and ensure it remains in alignment. On top of this, you will be using other tools, including wire cutters, a square and a tape measure. If materials need to be cut to size, which is often the case if they are from scrap, use a metal saw for this. Ensure that the saw is large enough, has carbide teeth, and is intended for metal, not wood. If the blades on a miter saw are intended for wood, they spin too quickly for use on metal. This can result in damage to the saw and motor. The dimensions of your table are of course up to you to decide, however we recommend between 25 and 32 inches square for the table top. The height will depend a little on your height and how you prefer to work, but you will generally be wanting the table legs around 30 to 35 inches high. 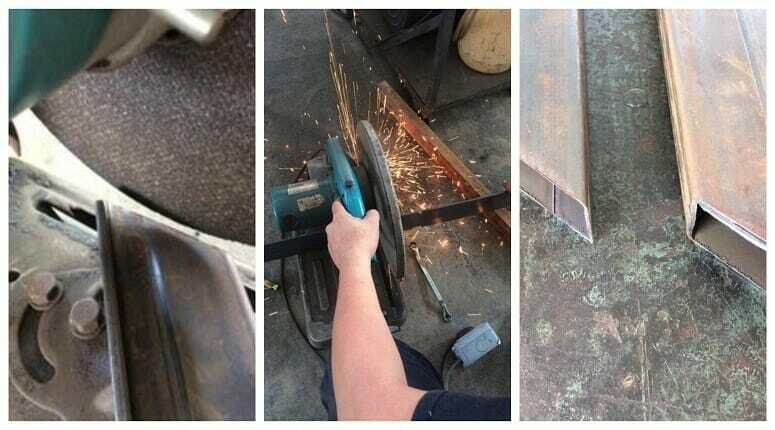 After you have cut the metal pieces to the correct size, use an angle grinder to remove any sharp edges. This will make the construction process much easier, and improve the aesthetics of your finished table. 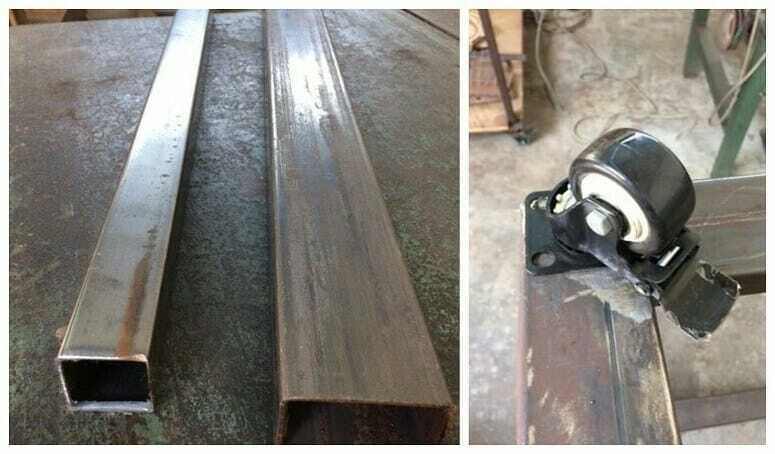 To make the frame, you need to line up a correctly-sized angle iron. Use your square to do this, to ensure that the pieces are in the exact alignment of 90 degrees. A clamp should be used to hold the two pieces while you tack them together. Repeat with the other two pieces, and then join the two halves. If you want to add an extra shelf below your table top, repeat this process again. You must attach the sheet metal by centering it over the square frame, and tacking it onto the frame. Ensure the corners have all been tacked, and then make a few extras along each side of the frame. 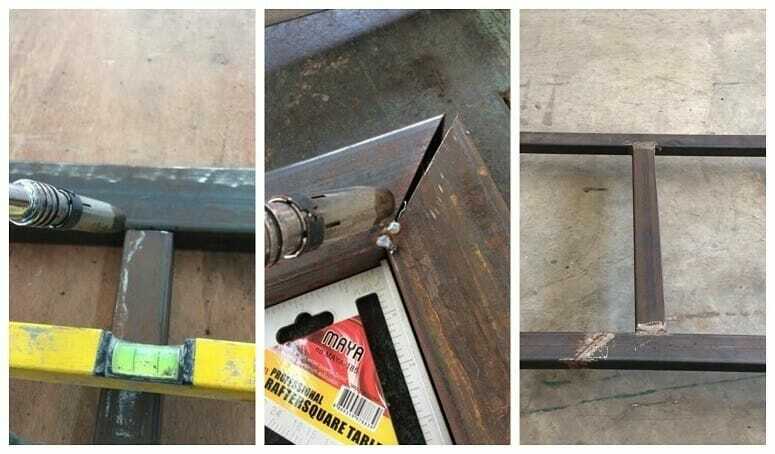 When the tacks are complete, make full welds to securely join the table top to the frame. Repeat this process with your shelf, if required, and then you are ready to attach the legs. Use your square again, to align the first table leg to the top and shelf. Tack it together initially before making full welds. Repeat this process with all remaining legs. Ensure that they are all completely welded onto the sheets before attempting to stand the table up. The last step is to attach any accessories or extra features. You may wish to add wheels to your table by using the casters and nuts. Weld the metal tubing onto the frame to function as a convenient welding gun holder. You may also like to incorporate extra storage drawers or compartments. Once the table is completely finished, you can then paint it. Ensure all surfaces are cleaned with a suitable solvent before painting. Make sure you do not paint the top of the table. It is important that the metal is not coated, as this could cause problems while you are welding. Building your own welding table has a number of benefits over purchasing a commercially made product. You get to choose the size of your table, as well as the materials it is made from and the added features. Consider your needs and welding habits, and you will create a table that is completely customized to your preference.